Highest quality, airline accepted, secure laptop flight cases available here. Our standard cases can be made to fit any laptop. Choosing a laptop flight case has never been easier. We provide a wide range of custom laptop flight cases to accommodate some of the most diverse needs and wants. Any laptop flight case that we supply is manufactured to the highest quality, providing you with a flight case that’s not only suitable for storing your laptop securely but transporting it from one location to the next. Unlike other flight cases, the laptop flight case is accepted by airlines. Our flight cases are designed to fit any laptop, enabling you to protect it from impacts and pressures that could potentially damage it. Here at Absolute Casing, we provide the laptop road case to provide a comfortable fit for any laptop. You’ll find the laptop road case in an assortment of colours, so be sure to choose something suitable today! 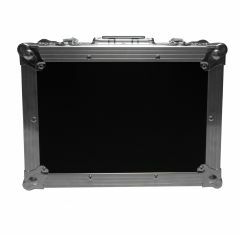 The custom laptop flight cases are custom-built-taking into consideration your exact needs and requirements. 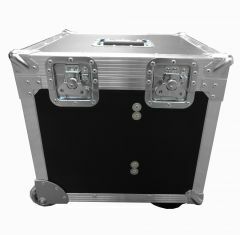 We manufacture the laptop road case at our in-house facility, creating a flight case that can store your laptop reliably. In terms of price, our laptop flight case is priced competitively, ensuring that you receive the best value for your money. Choose a laptop flight case here today! If you’re looking to discuss your laptop casing requirements with a member of our team, please call us on 01635 579518.